This Halloween, G Adventures will lead travelers down a path of myth and mystery with an epic Halloween party for hundreds in the shadow of Bran Castle. The adventure operator has secured exclusive access to the castle for the night of Oct. 31 and built its costume party event into a 3-day Romanian travel experience. That same evening, All Hallows’ Eve, costumed party-goers will dance well into the night under a huge G Adventures party tent, set in the shadows of Bran Castle. Drinks, food trucks and adrenaline-pumping music will be served. The next day, travelers can explore nearby Brasov, visiting the Black Church and the Brasov History Museum, or clear their heads hiking in one of the nearby national parks. Available now, this 3-day trip is part of G Adventures’ Limited Edition Collection of special event tours and priced from $389 pp, airfare separate. For Halloween revelers who would like extra time to experience more of this storied land and its Eastern European culture, G Adventures also offers a 7-day exploration of Romania that starts and ends in Bucharest. 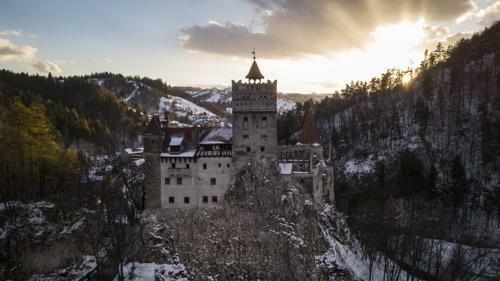 Priced from $1,499 pp (flights separate), the Halloween in Transylvania tour includes the Halloween party at Bran Castle and adds a visit to the ruins of Poenari Castle, one of Vlad the Impaler’s main fortresses. You’ll also wander around the Curtea de Arges Monastery, an elaborate Byzantine-style cathedral decorated with frescoes and elaborate inscriptions, then explore the old town of Sighisoara, where it’s said that Vlad the Impaler was born in 1431. For a true medieval immersion, a tour through Rupea Fortress is also included. It is one of the oldest archaeological sites in Romania, and nestled on a hilltop near the Carpathian Mountains, boasting some of the best-preserved remains of a medieval city found in Europe. If there’s one thing the Irish know how to do really, really well, it’s scaring the living bejaysus out of you. They’re born to it, really. Growing up in the land of ghosts, fairies and banshees, they can’t help but absorb some of that darkness into their bloodstream. 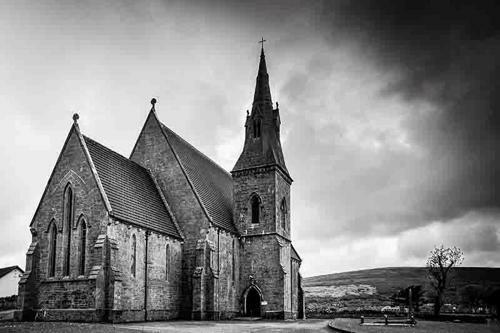 Is Ireland not the birthplace of Sheridan Le Fanu and Bram Stoker? Did they not gift the world Dracula? Yes, Ireland is a markedly different place to what it was only a few decades ago, but that darkness doesn’t go away. It lingers. It seeps. And once a year, at Halloween, it comes out to play. Halloween – or Samhain, in its original incarnation – is when the barriers are thinnest between this world and the next, and the dead come back to the land of the living. Disguises are worn, so that we frail mortals can mingle with these supernatural beasties without fear of being snatched away. We feast. We sing. We invite the dead into our homes and offer them a seat at the table. The British have Bonfire Night a few days later, commemorating that time Guy Fawkes failed to blow up Parliament, but the Irish light their bonfires on Halloween to protect their land, livestock and families. The fire cleanses. It renews. And darkness, like fire, spreads. It spread to North America in the 19th century, accompanying all those shivering Irish emigrants on all those battered, leaking boats. Eight million men, women and children, bringing with them the remnants of their pagan gods and traditions, finding them a new home where they encountered other cultures, other gods, and other traditions. Here, like some ghastly Frankenstein’s monster, the Halloween we know today was given form. Mischief-making and playing pranks became “trick or treating”. jack-o’-lanterns switched from being terrifying visages carved from turnips to being grotesque faces carved from pumpkins. Disguising yourself as a ghost became dressing up as your favourite superhero. Or a nurse. But behind all the laughter and the masks, behind the cackling witch decoration hanging from your front door, behind the brave face we tend to adopt when confronted with things that genuinely scare us – there is still that undercurrent of darkness. You can feel it, can’t you? Even now, the walls between worlds are getting thinner. Your old friends are returning. You can’t run from them. You can’t hide from them. All you can do is disguise yourself as one of them, and pray that when they finally do leave, they don’t take you with them. When it came to crowning the best Halloween destination in the world, USA Today didn’t name any of their own candy-loving, thrill-seeking cities the victor (how un-American of them), but rather granted the title to Derry-Londonderry. It seems that when it comes to celebrating the thinning of the veil between the worlds, you just can’t beat this Northern Irish city. This year’s riotous events include Awakening the Walls (an animated illuminated trail featuring installations and artistic performances), the Ancients’ International Halloween Street Carnival Parade, the Monster Halloween Fun Fair, the Jack O’Lantern Festival and the Fireworks Finale (Oct 26-Nov 3; derryhalloween.com). Where to stay: Once a gentlemen’s club that hosted Winston Churchill and WB Yeats, today, Bishop’s Gate Hotel is possibly the city’s most indulgent stay (telegraph.co.uk/tt-bishops-gate-hotel; doubles from £119). One of Dublin’s largest festivals, this Halloween extravaganza started back in 2012 and has quickly become one of the city’s most highly anticipated annual events. Inspired by the country’s best-loved horror writer and author of Dracula – one of the genre’s most influential books – the Bram Stoker Festival is a wonderland for fans of all things gothic. Fit for families and grown-ups alike, there are parades, funfair rides, theatrical performances and late-night cinema screenings in the grounds of the National Botanic Gardens of Ireland. There are also a host of workshops, podcasts and literary talks.This year, the brave are being invited to venture into the darkness of the woods of St Anne’s Park for the world premiere of The Night of the Shifting Bog, by modern circus company the Loosysmokes (Oct 26-29; bramstokerfestival.com; #BiteMeDublin). Where to stay: Draped in decorations and serving up scary specials, the Fitzwilliam Hotel is getting into the spirit of the season (telegraph.co.uk/tt-the-fitzwilliam-hotel; doubles from £231). While Ireland may claim to be the birthplace of Halloween, Co Meath goes a step further. According to local legend, the first ever Samhain festival was held on the top of the Hill of Ward (Tlachtga) near Athboy in Co Meath more than 3,000 years ago. It was here that the Samhain fire of the new Celtic year was first lit and carried to seven surrounding hills in the Boyne Valley. They really make the most of the festivities here, with fun, imaginative events starting as early as this weekend. There are lantern-lit canoe tours, “Ghosts of Drogheda” walking tours and children’s Halloween hunts. You can also try out pumpkin picking, a guided meditation on Samhain or, of couse, the Flame of Samhain festival (Oct 6-Nov 4; spiritsofmeath.ie). Where to stay: With events held all over Co Meath, there are a number of locations you can choose to stay – especially with Dublin so close. For a country house with immeasurable charm, try Bellinter House (telegraph.co.uk/tt-bellinter-house-hotel; doubles from £120). This article was written by Penny Walker and Derek Landy from The Telegraph and was legally licensed through the NewsCred publisher network. Please direct all licensing questions to legal@newscred.com. 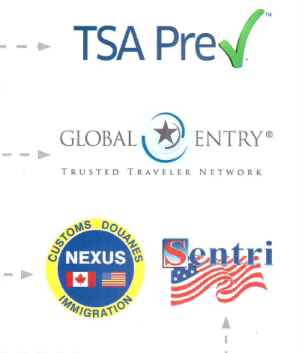 The Department of Homeland Security has several Trusted Traveler Programs, which provide an improved passenger experience while enhancing security and increasing system-wide efficiencies. The programs are customized based on travel needs and many of them have reciprocal benefits. Holidays at Universal Studio Nov. 18 - Jan. 6: From $99 a Night Per Adult! 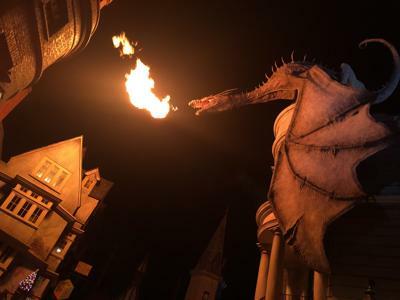 This super deal (last minute as it is) includes: 5-Night hotel accommodations, 3 Park admissions including the all new Volcano Bay and early park admission to Wizarding World of Harry Potter, plus a lot more. Upgrade to Universal hotel properties to enjoy Universal bus transportation. Check in with Diane Munson, CTC for all the details. Diane@abctraveltime.com. Interested in small ship cruising? We love Azamara, and their current special is outstanding with over 60 qualifying itineraries to choose from! 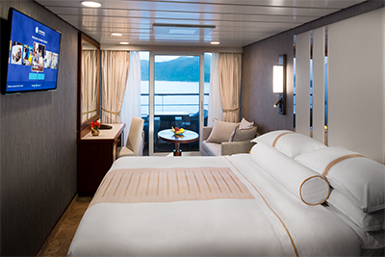 Book a select voyage between September 1st and November 30th, 2017 and receive a complimentary double upgrade from Club Interior to a Club Veranda stateroom. Club Veranda stateroom pictured right. Call ABC Travel Time today to reserve your space! Click Here for full details and list of sailings that qualify. Book Early: Get The Vacation You Want! So you want to to take your family for a Disney vacation during Spring Break? Christmas in Hawaii? Or a ski trip with friends for New Years? Ensure that you get the flights and resorts you want by making your plans well in advance, these are peak travel times. According to ABC Travel Time’s office manager, Jeanne Lentz, CTC you should be narrowing down your vacation options for peak holiday periods a year in advance, and have your reservations confirmed a minimum of 9 months in advance. During peak periods (even Spring Break) you’ll find the closer to the holiday, the higher the prices or your dream destination may be sold out. But, don't be discouraged, call as soon as you start thinking about Christmas in Hawaii to give your travel agent enough time to shop for savings and promotions that can lead to more resort credit or extra amenities to add value to your vacation. Decide who, what and where you’re going to celebrate the holidays with and call your travel agent today! Leave the stress of last minute travel arrangements behind, so you only have to dream about your upcoming vacation when the darker, colder winter returns.